Basic sciences such as chemistry, physics, and mathematics are fundamental and essential elements of fisheries. 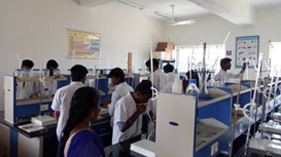 Department of Basic Sciences at College of Fisheries Engineering, Nagapattinam, started functioning since 2015 in order to perform teaching, research, and extension activities pertaining to fisheries sector. The department has an ideal mix of young faculty with international exposure from different disciplines of Basic Sciences. The department has an experienced faculty to impart quality education, conduct need based research and provide efficient extension and advisory services to the fish farming community. Department of Basic Science has a state of art laboratory for students, disease diagnosis and water quality laboratory to serve the farming community, an ornamental fish display unit with 32 tanks and 25 varieties of fishes to exhibit to the school children, and to impart knowledge to the common public regarding the advantages of growing ornamental fishes in the houses. 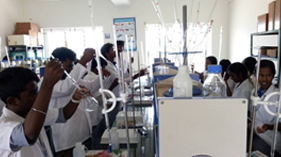 The department also have a wet lab facility with 4 one ton tanks and 250 litres of tanks more than 30 numbers to conduct need based research in the field of fisheries science. 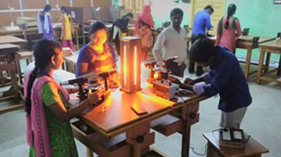 To offer courses in Basic Sciences such as Chemistry, Physics, Mathematics and English. To undertake research in Basic Sciences pertaining to Fisheries. To facilitate fisher folks and industries with analytical services and extension programmes for strengthening of fisheries sector. 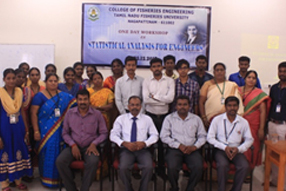 Dr.D.Manikandavelu (CO-PI) Professor E-fish health surveillance and monitoring network to improve Fisheries production in Tamilnadu funded by Tamilnadu State planning Board, TANII scheme. 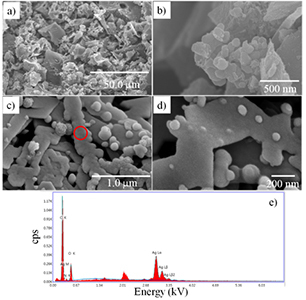 Capacitive deionization of ground water: SEM and FE-SEM morphologies of porous carbon (a&b), FE-SEM and EDS of Ag/PANi/porous carbon (c-e). 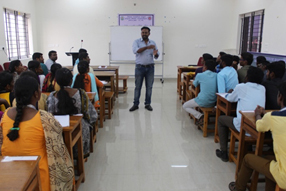 Guest Lecture on “Opportunities in Fisheries Science and Engineering”, in Higher Education and Career Guidance Programme, Organized by Nagore Lions Club, Nagapattinam. 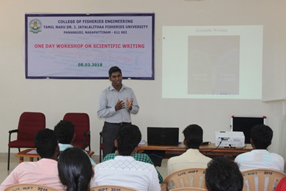 Guest Lecture on “Water Quality Management of Ornamental Fish Farm and Tanks” by Dr. D. Kesavan in Basic Techniques in Ornamental Fish Culture and Breeding at ADM College for Women, Nagapattinam. 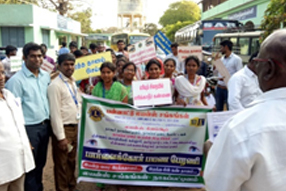 Kodaikala vanamaie iral valarpu – Interview programme at AIR TRICHY. The Department has achieved 100% result in the final theory exams conducted during 2017-2018. The faculty members of the department has published over 17 research articles in peer-reviewed national and international journals. 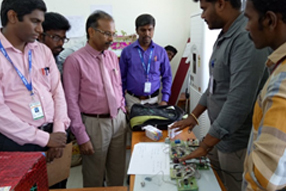 At present the faculty members of the department are involved in an externally funded project, and two University funded projects. Further, two technical articles and six practical/workshop manuals were published by the faculty members. 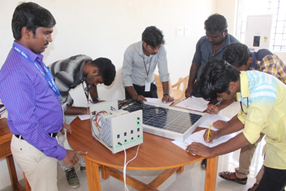 The faculty members are also active in delivering radio talks in AIR, Trichy and AIR, Karaikal and conducting several outreach programmes.